“Lent” begins on March 1 this year. Lent is a season of 40 days (not counting Sundays) leading up to Easter. Lent is designed to prepare your heart to celebrate all that God has done through the death, burial, and resurrection of Christ. 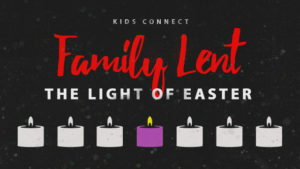 To help you and your family prepare for Easter, here are some suggested resources available to you for free. There are devotional books, videos, and additional family activities. Some of the videos are found in RightNow Media. RightNow Media is free for anyone attending Hope Chapel. It is like the Netflix of video-based Bible study. If you have not yet created a RightNow Media account, you can do so here. Journey to the Cross moves us closer to the heart of Easter through forty days of Bible readings, prayers of confession and thanksgiving, and daily devotional readings. This forty-day devotional takes a deeper look into six central themes of the Christian life: repentance, humility, suffering, lament, sacrifice, and death. Journey to the Cross helps Christians focus on Christ’s sacrifice for us—the real meaning of Easter and the reason we celebrate. $10 donation, if you’d like to reimburse the church. Make payable to “Life Group Books”. In this 52-minute session, Timothy Keller, the founding pastor of Redeemer Presbyterian Church in Manhattan and author of The Reason for God and Center Church, highlights four themes from the last chapter of the book of Luke that show why the Resurrection of Jesus is so important. How did Easter, a word with origins in pagan tradition, come to embody the oldest and most important festival in Christianity? Discover the origins of Easter in this thoroughly researched and emotionally charged documentary. Each episode in the Holy Moly Easter Story Collection helps kids explore more of the amazing story of Jesus’ death and resurrection. In addition to “Jesus Enters Jerusalem” and “The Last Supper” this volume includes episodes covering “Jesus and the Cross” and “The Empty Tomb.” The imaginative visuals and humorous sound effects give kids the opportunity to retell the story in their own words and bring the Bible to life like never before. Helping your kids understand the reason behind Easter can be a challenge. Jesus often runs in competition with the Easter bunny, candy, and Easter egg hunts. These devotions help tell the overall story from creation to the cross. It is done simply through candles and a reading once a week. You decide which day of the week works best for your family to do the week’s devotion. Paper copies will be available at Hope Chapel starting Feb. 19, along with a set of candles that accompany the devotion. You can download a copy here.